L & G International and partners install and maintain prison telephone systems around the world. We provide centralised prisoner VOIP platform solutions in North America, Europe, Asia and the Middle East. Our platform and interface supports many languages. Our team has decades of experience designing, implementing and supporting prison communications for prisoners. Our security features allow the prison staff to have the greatest control over prisoners. Our administration features save staff precious time when carrying out day to day tasks. The latest development in Hi Tech VOIP and IP telephony allow us to pay competitive commissions with the lowest available call rates in the market. No matter how small or large your facility is we can provide a modern state of the art inmate phone system. L-3 Communications ASA Ltd (L-3 ASA) is a systems engineering and software development firm supplying systems in the areas of Communications Interoperability, Sensor Fusion/Tracking and Intelligence Dissemination. With its fusion/tracking technology, and high productivity software development process, L-3 ASA is an excellent partner in today's team-based procurement programmes. L-3 ASA's MultiSwitch is a fully programmable and scaleable switching and processing platform. MultiSwitch allows interoperability between systems using the widest range of both standard and proprietary protocols and provides the processing power to complement such systems with functionality based on diverse COTS technologies.L-3 ASA's sensor fusion/tracking technology TOTS (Target Oriented Tracking System) is the result of a 20+ year R&D program. TOTS brings new levels of precision, performance and scaleability to real-time multi-sensor fusion/multi-target tracking.L-3 ASA also produces systems for the storage and dissemination of intelligence information and commercial systems for passenger information and entertainment for the rail and air transport sectors. With an installed base of more than 50,000 systems, L-3 Security & Detection Systems (SDS) is trusted by customers around the globe to safeguard their citizens, commerce and critical infrastructure. On the forefront of threat detection technology, L-3 provides innovative systems with the flexibility, accuracy, speed and reliability needed across the spectrum of complex and demanding security applications. Whether securing passenger terminals, air, land and sea cargo, borders, or facilities ranging from embassies to courthouses, prisons and commercial buildings, L-3 has a screening system to meet the need. L-3 SDS is a division of L-3 Communications, a Fortune 150 global leader in high-technology aerospace, defense and homeland security and safety systems, products and services. 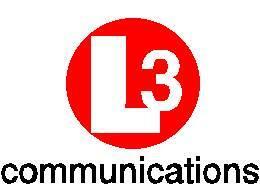 In 2010, L-3 Communications reported annual sales of $15.7 billion and 63,000 employees worldwide. 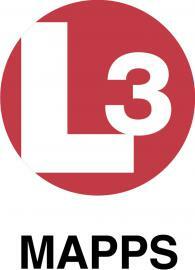 L-3 TRL is an agile UK-based technology company, which designs and delivers advanced electronic systems for the protection of people, infrastructure and assets. We operate in the fields of electronic warfare and cyber security, creating scalable solutions by investing in innovation and delivering excellence. Working in partnership with defence and civil organisations, we respond to their requirements, delivering precisely the right product at the right time, helping to counter evolving and emerging threats worldwide. 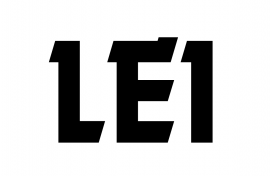 L.E.K. is a global management consultancy that advises senior executives on strategic, commercial and operational issues. L.E.K. was founded in the UK and now employs more than 1,000 people worldwide, including more than 200 in the UK. L.E.K. 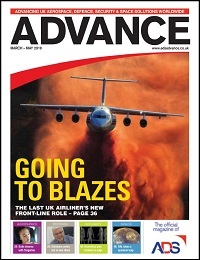 has over 20 years of experience in the Aerospace & Defence industry and have worked with a wide range of clients including government, tier 1 OEMs, mid cap corporates and financial investors spanning military, commercial, corporate and business unit strategy, new product development, go-to-market strategies, pricing strategies, performance improvement, and organisational transformation. L3 MAPPS Ltd, are leaders in delivering 'Bridge to Propeller' capabilities and provide an extensive infrastructure geared to developing, delivering and fully supporting tailored and cutting-edge technology solutions for the commercial and military marine sectors. L3 MAPPS Ltd specialises in the provision of Navigation, Communication, Automation, Through Life Management and Training Solutions with state-of-the-art Integrated Platform Management Systems (IPMS), full mission simulators, in-service support and commercial marine maritime solutions. L3 MAPPS Ltd has been a key partner or supplier for many prestigious endeavours including IPMS design, delivery and support for the Queen Elizabeth Class Aircraft Carriers, Astute Class Submarines, Albion Class Landing Platform Dock Ships and has most recently secured the contract to supply IPMS for the Type 26 Frigate. L3 MAPPS Ltd are ISO 9001:2015, TickIT Plus, ISO 14001:2015, ISO 45001:2018, ISO 27001 certified, BSI member and CQI registered. Manufacture/supplier of small arms, ammunition and related products and accessories. Leafield Cases, a division of Leafield Environmental is a UK designer manufacturer and supplier of tough, protective, plastic waterproof cases for use in the most extreme environments. Formerly known as Linpac Environmental, the Company has many years’ experience in the production of custom cases and packaging. All of our products are designed and manufactured under one roof by skilled engineers, we are a leader in Rotational Moulding technology, bringing levels of precision and detail to cases, which are comparable with injection moulding. This modular tooling enables bespoke size variations to be quickly designed and tooled to meet specific requirements. We are an AS9100 & ISO9001 certified precision engineering company supplying our customers with Precision Machined Components and Special Purpose Tooling. We service a wide range of multinational companies in industries such as Aerospace, Medical Devices and Consumer Electronics. Lentus Composites are a vertically integrated engineering and manufacturing business providing a complete end to end service for the design, development qualification and supply of composite products. Lentus is based in West Oxfordshire. Lentus operate across multiple markets including Medical, Aerospace and Defence, Automotive, Clean Energy and Industrial. Lentus provides product technology and manufacturing solutions for small batches through to high volume series productions. In house Lentus has a dedicated test facility to enable the rapid development of new technologies and fast qualification and delivery to market of new products. Lentus manufacturing capabilities include Pre-Preg layup and Autoclave curing. Filament Winding, RTM, 5-Axis CNC machining and turning of composite and metallic components and other supporting processes as required. Lincad is a privately owned UK company with world-renowned expertise in the development of bespoke power management solutions, designing and manufacturing specialist batteries, chargers and power management systems for military and other specialist applications. Our expertise and desire to integrate the latest cutting edge technology fosters innovation and ensures that we continue to take product performance to new limits, producing lighter, more powerful batteries with faster, more flexible charging solutions. Lincad is ISO 9001 accredited with expertise in battery chemistry, systems and software engineering. With over 25 years' experience, the company’s reputation has been established by working closely with its customers to ensure that they receive the optimum solution for their system requirements. From product inception, to product completion and to product support, Lincad offers the high quality service that our customers expect. Lincad also supplies a range of off-the-shelf standard products, including large quantities of primary batteries.